A weekend retreat of sacred and mystical dances, healing circles and Sufi whirling. 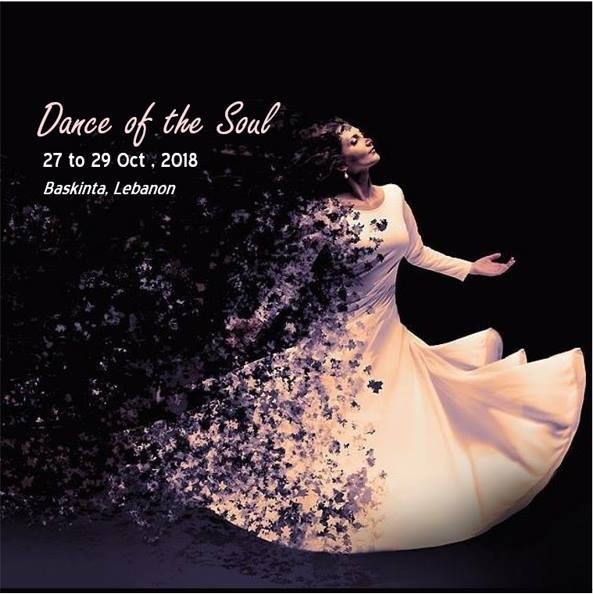 Join us for a weekend on a path of healing, awakening, and self-growth through the power of meditative whirling and sacred dance to live music, mystical poetry, and Zikr – at the picturesque village of Baskinta in Lebanon – with award-winning dance ethnologist, Iranian Shaman, Sufi Dance Master, and internationally acclaimed dance artist Farima Berenji. Also joining us is Faysal Macit, a talented Sufi drummer from Turkey. A one of a kind event you won’t want to miss in Lebanon! Farima’s Dance of the Soul is an depth whirling and dance journey covering various spotted and non-spotted turns, spirals and circles based on Sufi whirling traditions, sacred geometry, sacred elements, and ancient Persian rituals. We will connect with the cycles of our life and discover the power of whirling as a gateway for self-growth and spiritual transformation! We will discover the power and mystery of ancient dances and rituals through movement, music, love, and stillness. Lovers, Seekers and Watchers – Come and join our sacred circle. You are welcome to set and feel healing energy, bring a poem or story or music to share, join our Zikr, pray with us, and just laugh or cry…as we journey together to be closer to the light. Semazens – Open your heart and whirl! Our 3 day retreat will take place at the beautiful Tobeshrani Guesthouse in Baskinta which can fit a maximum of 20 people (shared rooms with simple beds and sofa beds). Visitors to Tobeshrani guesthouse say it’s almost impossible to leave once you’ve experienced Nader and Mireille’s hospitality. They also offer a wide range of services in their traditional village including hiking, generous hospitality to make you comfortable and part of their family, meal sharing, and great stories. Baskinta is a small town about forty-four miles from Beirut (70km), situated on the lower slopes of Sannine at an altitude of about 4,500 feet (1,350 meters). In Aramaic its name would mean apartment or house, for this village holds the visitor captive, being of a unique beauty! Baskinta has been inhabited since ancient times, by Phoenicians, Romans, and Greeks, all of whom have left their remains. It is also the native village of Mikhail Naimeh, one of Lebanon’s greatest thinkers and men of letters world famous for his spiritual writings. He personified Baskinta’s natural scenarios in most of his writings. It was here in a hut surrounded by extraordinary rock formations that Naimeh drafted much of his monumental work. The family home of award winning novelist and journalist Amin Maalouf at Ain el Qabou is nearby Baskinta where his novel “The Rock of Tanois” is also set. Maalouf also has a summer house there. From Beirut by public transport, Baskinta can be reached by the ‘old school’ buses leaving from Dora. Duration: about 2 hrs. / Costs: 2,500 LBP. Mirelle, the home owner, is also a hiking guide and will lead us to explore the beautiful nature of this area. SPACE IS LIMITED – PLEASE REGISTER EARLY TO ENSURE YOUR SPACE! 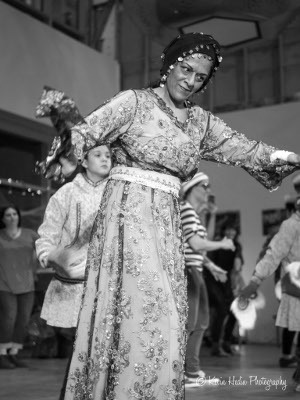 Farima Berenji is an award winning dance ethnologist and internationally acclaimed dance artist, choreographer, instructor, and an archaeologist specializing in ancient, sacred, classical, and folkloric dances of Persia, Ionia, and the Silk Road. Recognized as one of a few world scholarly experts of ancient and mystical Iranian dance ethnology, she travels worldwide to record, research, lecture, perform, educate, and to inspire dynamic creativity and rejuvenation through dance and movement. 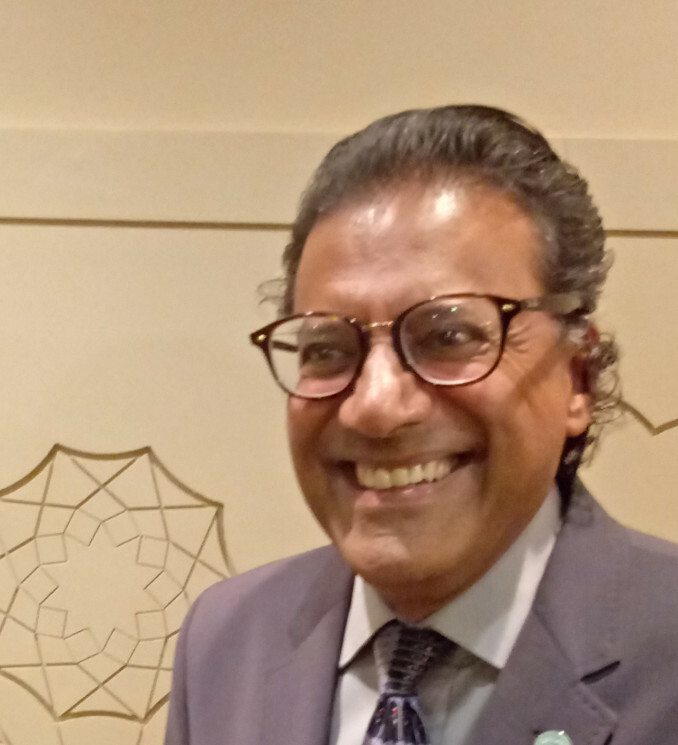 As a Magi (Iranian Shaman), Sufi, and Semazen, Farima is an exceptionally inspiring instructor strongly connected to spirituality and healing. She seeks to lead people to the historic beauty and richness of Persia and the Silk Road culture and to aid them find inner bliss through dance, music, and spirituality. Farima teaches her own original findings, methods, techniques, and exercises to uncover the connection between the soul and dance movement and what make an ARTIST instead of just a dancer. 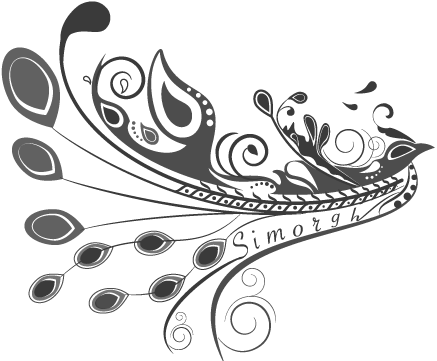 Farima is the founder and artistic director of the Simorgh Dance Collective (founded in 2007). She is the first Iranian dance artist to found a worldwide collaborative devoted to preservation, performance, and promotion of ancient, classical, and folkloric dance of Persia and the Silk Road. Farima is the founder of the Lioness project, Poetry in Motion project, and the Awakening project. She has appeared in scholarly documentaries hosted by National Geographic and the U.N., and has been highlighted in various international media Farima is the recipient of the prestigious UN award and has been recognized by Congressman Mike Honda, by the Iranian Women’s Rights Committee “30 Voices,” Music and Cultural Organization of Turkey, and is the first first Iranian dancer to be honored in a TEDx talk. Farima and her Simorgh Dance Collective was the first Persian dance company, directed by an Iranian to perform during a reception for US President Obama.